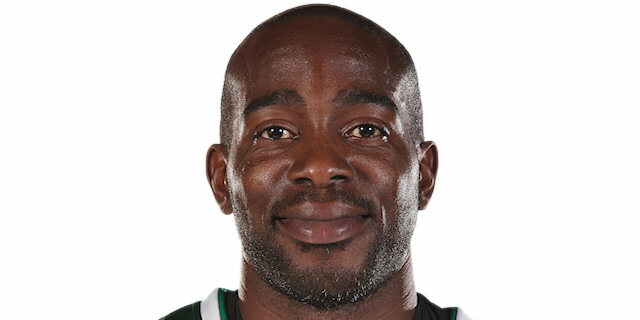 CSKA Moscow got plenty of offense from Sonny Weems and plenty of defense from everyone else in routing Panathinaikos Athens 77-51 Friday to take a commanding 2-0 lead in their best-of-five playoffs series. The result marked not only the lowest-scoring effort for the Greens in a Euroleague game, but the 26-point difference was the worst margin of defeat the club had ever suffered in a playoffs game. Weems paced CSKA with 23 points, while Vladimir Micov netted 12 points, Nenad Krstic 10 and Victor Khryapa stood out with 11 rebounds and 7 assists. CSKA outshot Panathinaikos from every range and registered two and a half times as many assists (20-8). 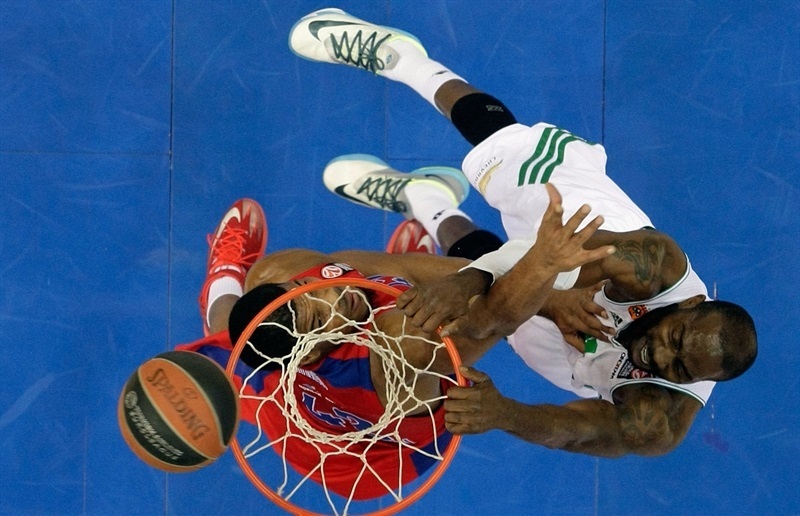 Panathinaikos played CSKA close early; the game was tied at 19-19 late in the opening quarter. However a 16-0 run that bridged the first and second quarters put the hosts in firm control. 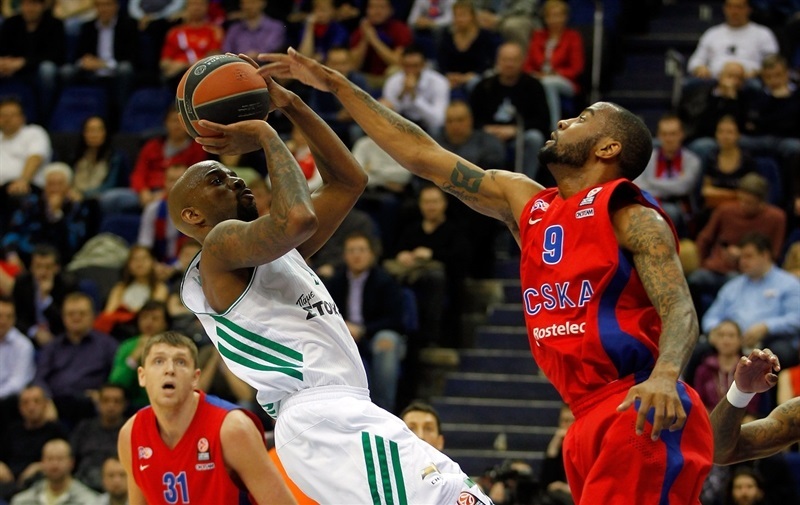 Panathinaikos held CSKA scoreless for the first five minutes of the second half, but did not capitalize on offense and never got closer than 10. Weems scored 14 fourth-quarter points to ice the game with time to spare. Roko Ukic led the visitors with 15 points. 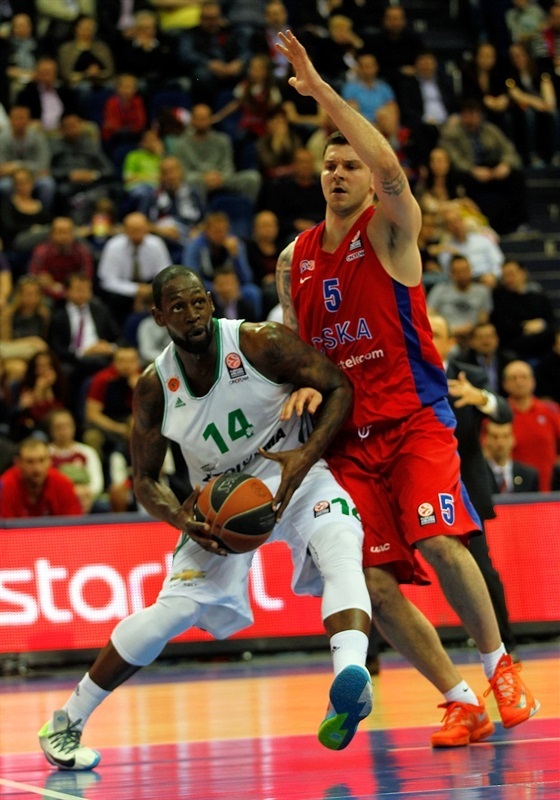 Jonas Maciulis opened the scoring with a jumper for the Greens; Weems got CSKA going with a three-pointer. Dimitris Diamantidis took an early seat to receive medical attention after suffering a blow to his nose. The lead changed hands on an Ukic floater and a Kyle Hines slam. Back-to-back triples by Maciulis and Antonis Fotsis put Panathinaikos in front 7-10. Aaron Jackson penetrated for a tough lefty layup. Khryapa found a wide-open Krstic inside for a slam, but Ukic answered from downtown to keep his team ahead 11-15 after six minutes of play. 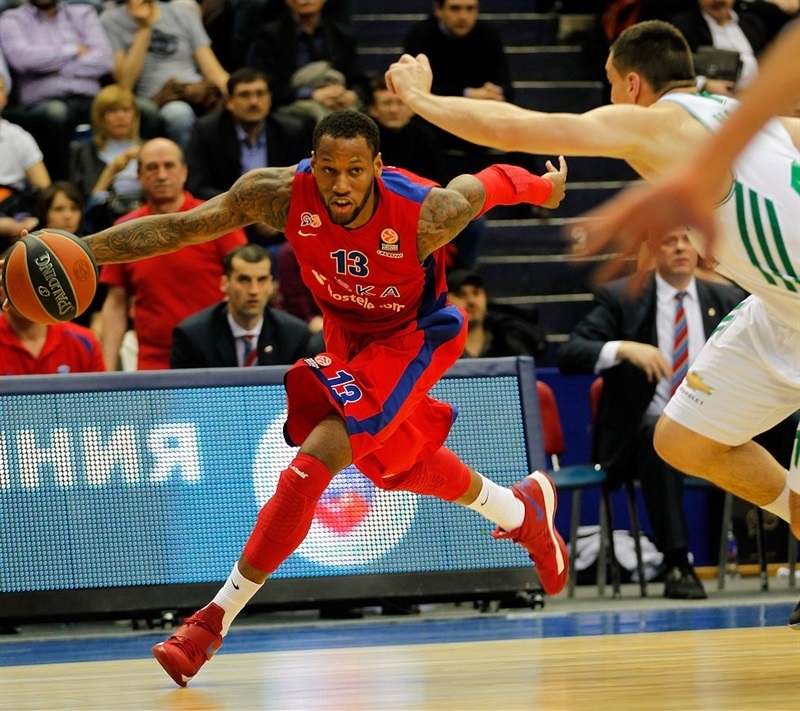 Weems and Hines each scored to tie the game, but Ukic darted through the CSKA defense on the next play. Jackson connected with Weems to tie the game at 17-17. Khryapa made the highlight reel by rejecting Stephane Lasme from behind and finishing a fast break seconds later with a two-handed reverse slam. A Micov mid-range jumper left the hosts ahead 21-19 after 10 minutes. 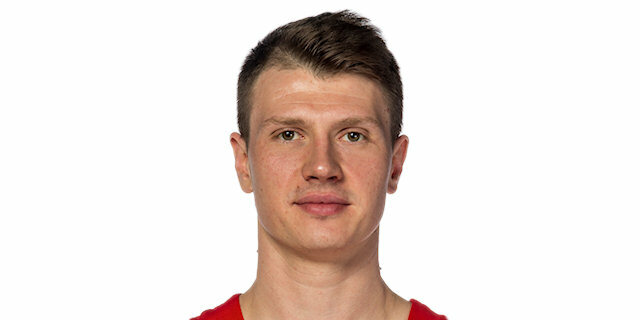 Vitaly Fridzon sank a jumper and a three-pointer as the lead grew to 7. 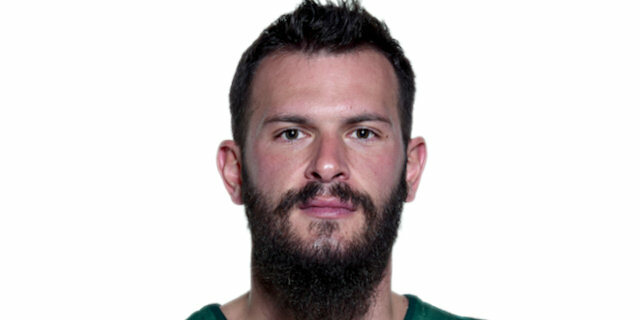 Diamantidis’s return did not help the Greens immediately as Andrey Vorontsevich nailed a jumper. 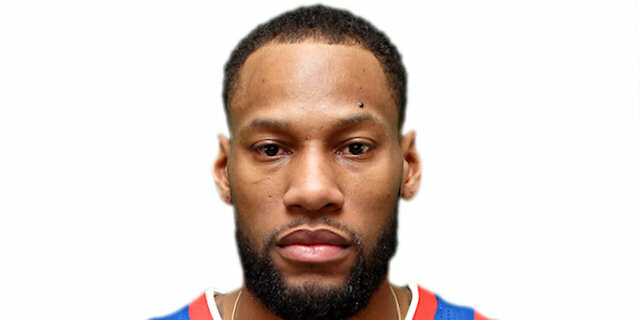 A Micov triple was followed by a Jeremy Pargo jumper to bring CSKA’s run to 14 unanswered points. Vorontsevich banked in a jumper for a 35-19 lead. Ramel Curry sank a jumper to end Panathinaikos’s drought of nine minutes of game clock without a basket. Sasha Kaun and James Gist traded baskets in the paint before Ukic scored inside. Krstic backed Gist down for a score that made it 39-25 at the break. 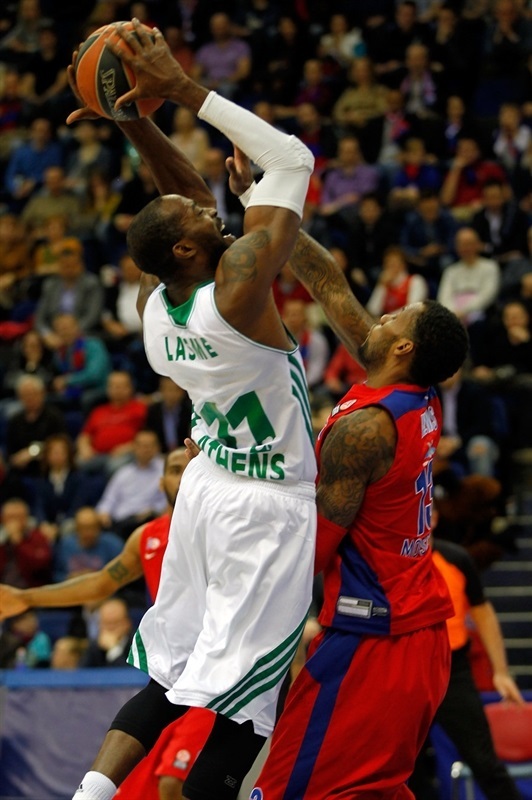 Lasme took a steal in for a slam, but despite holding CSKA scoreless for five minutes, never got closer than 11. Fridzon nailed a jumper to end the CSKA drought. A Loukas Mavrokefalides tip-in made it 41-30. Gist fought his way to the basket to bring his team within 10 only to see Micov nail a triple at the other end. 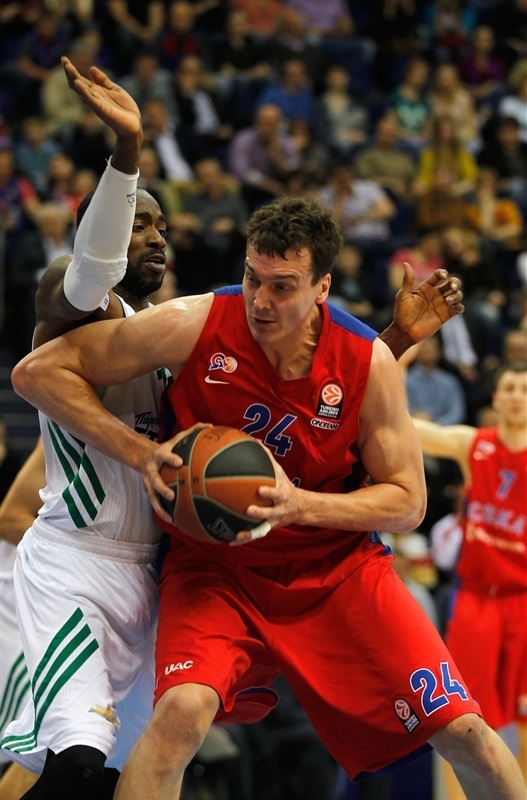 Kaun lobbed a pass inside to Vorontsevich as CSKA extended its advantage to 47-32. Mavrokefalides scored again on the offensive glass before Vorontsevich and Mike Bramos traded threes. Zach Wright added free throws to make it 50-39. After Gist split free throws, Weems knocked down a three for his first points since the first quarter. Jackson scored a tough layup and – after Bramos split free throws – Weems’s fast break layup made it 57-41. Mavrokefalides scored from the line, but Weems knocked down another three for a 17-point CSKA lead with five minutes to go. Weems scored two more baskets to make it 64-43 as the hosts wrapped up the game with time to spare. Diamantidis recorded his first assist of the game on a Mavrokefalides basket via goaltending. 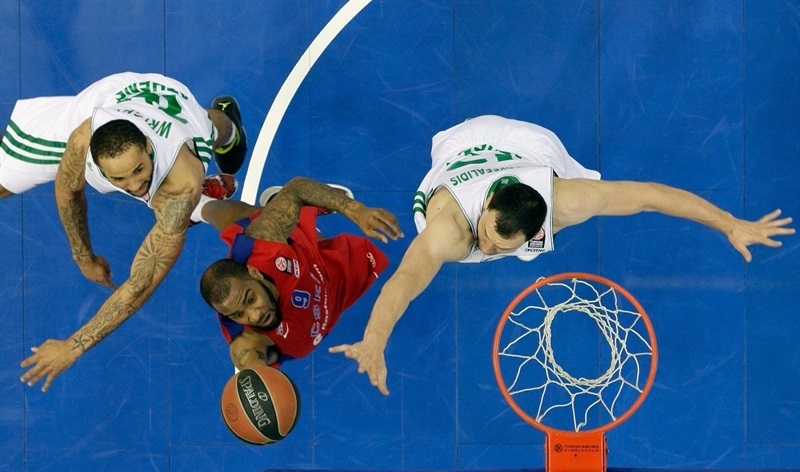 Mike Batiste scored his first basket too, but time became a second opponent for the Greens, while Weems put on a scoring exhibition to carry CSKA to a convincing win. "Obviously we played a good game. First of all because we were consistent on defense, the players were ready to sacrifice defensively. We did everything possible to make it difficult for Panathinaikos to score. Besides we were quite patient. Usually when you’re up by 10-12 points and you cannot raise the margin to 20, you have a kind of scare and you rush. But we showed mental toughness, we were patient, we defended our lead, made another push in the last quarter and closed the game. Our stats are good with exception of the turnovers. We are one of the best teams in Euroleague offensively, so we can’t be happy with this number of mistakes. This is the thing we have to clean in our game. I am also proud to see how the team adjusted to the opponent. After the first game, we talked about the ways to improve our spacing and I am thankful to the players for their ability to adjust after just one practice." "That was a night to forget for me. The rest is history. We go back to Athens to continue the series. Hopefully we will have a completely different game on Monday." "It was kind of close game in the first half. We struggled a bit in the third quarter and made a lot of turnovers, and luckily for us they didn’t score in the third quarter. In the fourth we made a few stops in a row. It was difficult to play defense in the end. But we came out to win. So we should be happy with the win, but forget about it and move on to the next game." "It was hard to play against such a strong team as Panathinaikos. Our game was successful; all the players on our roster took part in the game today. The first game took a lot of energy from the starting five. Our reserves understood it and that’s why we tried to give enough strength to win." "Today the game was not so good for us. Our first game was better; a hard one, but with a good result. We were not prepared, CSKA played their best. The series is 2-0 now. We are going back to Athens. We have to improve our game and play better on our home court." "Obviously, it was a very tough game. CSKA played their best. Congrats. We must take the game more seriously, and not make stupid mistakes in defense. You have to give an effort for 40 minutes; that was one of the big things."